If your landscape is looking less than attractive, or you simply want to enhance your Reisterstown, Maryland, home’s curb appeal, consider the installation of a retaining wall by Allmaster Home Services. 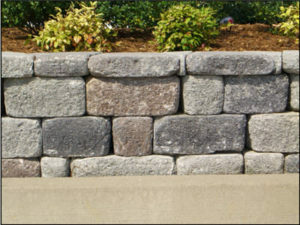 Retaining walls are the ideal way to accent your yard and can serve to hide an unsightly hill or other eyesores in your landscape. At Allmaster, we proudly install custom retaining wall solutions for homeowners throughout the region. Our expert design specialists will work with you to create the perfect product for your residence’s unique appearance, and our installation professionals will install it with precision and care. When you first reach out to us for the installation of a retaining wall at your home, we will schedule a complimentary in-home consultation at a time that works best for your schedule. During this consultation, we will take necessary measurements, show you samples, and discuss at length the goals you have for your wall. From there, we will schedule the installation and get to work enhancing the look and function of your home’s outdoor area. To learn more about the retaining walls we can custom build and install for homeowners in Reisterstown, MD, contact Allmaster Home Services today.